I hope everyones weekend was as fantastic as mine. I traveled this weekend and spent time with people I love…nothing better 🙂 I value love and creating memories…doesn’t everyone?! I was sitting, staring out at the sky on a plane traveling back home to Los Angeles, and the woman sitting next to me started chatting. Well, low and behold, turns out she owns a small bakery in Tel Aviv, Israel! For y’all that don’t know me, here’s a small secret~ I dream (and have for awhile) of owning a small french cafe and bakery someday….hmmm that is one dream, the other is the chance to live abroad in Paris~ which one shall come true?! What was she doing traveling through California you ask? She lives part-time near the ocean in Israel, and part of the year near the ocean in San Diego…a horrible life that must be! She and I talked food most of the plane ride (politics and men were also hot topics) and she shared some of her beloved recipes with me. I was excited based on how incredibly passionate she was while telling me about her recipes. She would say… “This carrot cake is the best in the world~ here write it down I want you to have it!” Sure enough, I wrote it down. I also made it the second I got home and I now MUST share it with my loyal readers. Fantastic! 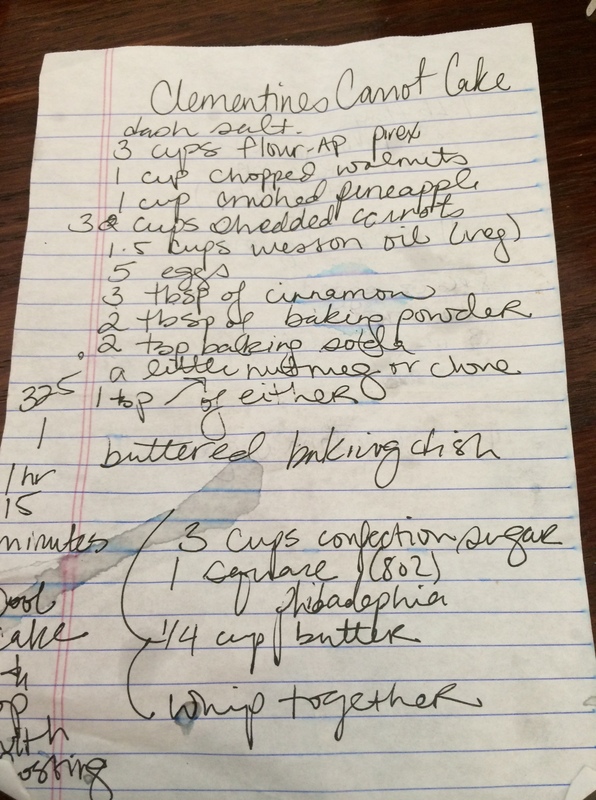 One of her secrets is adding fresh pineapple to the batter….yum + a fruit serving! Bonus! Clementine was her name, and she insisted that I use this recipe for my work, but I would rather share it with you! I love collecting recipes passed down through generations OR as in this case, with some sentiment to them. I will not forget my conversation with Clementine…she was a light and happy soul and I learned a lot from her on that short plane ride home. Whenever I make this cake, I will think of her…. I will invision her walking the beaches of Israel. Happy Baking! Not lying I was scribbling down recipes on the flight like a mad woman 🙂 Next time you are in the mood to make carrot cake~ try this recipe…you will not be disappointed. Next, while the cake is baking make the frosting. Aunt jenny…. Your photos you sent me were beautiful. I am so happy you are enjoying my recipes…. It is amazing how God works with the small details! Clementine was so lovely! Thank you krista for carrot cake recipe.its amazing people one meets on a plane.you remind me of Julia child. Always a joy to read your blog. There’s always a nice surprise waiting for me. You must have made Clementine’s trip home wonderful as well. 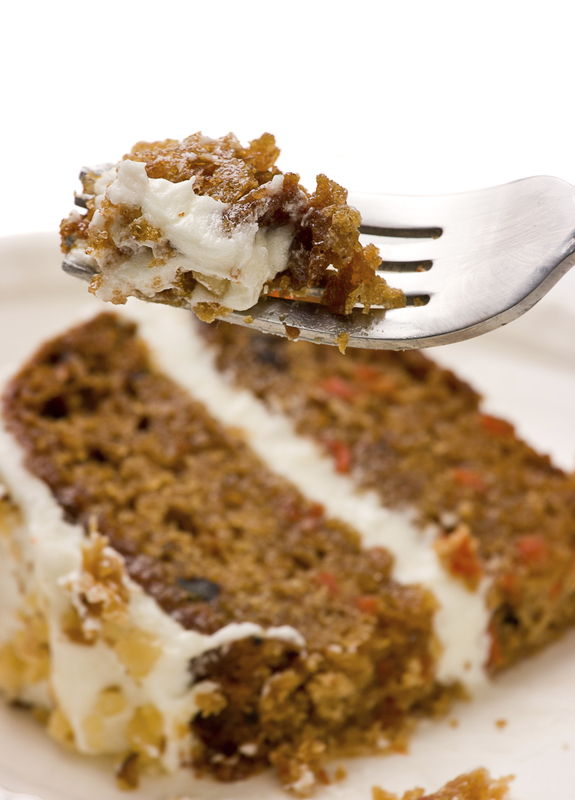 Carrot cake is my favorite but never really made one so now I will. I’ll get cream cheese on the way home! It was special spending time with you Krista and I love laughing with you. 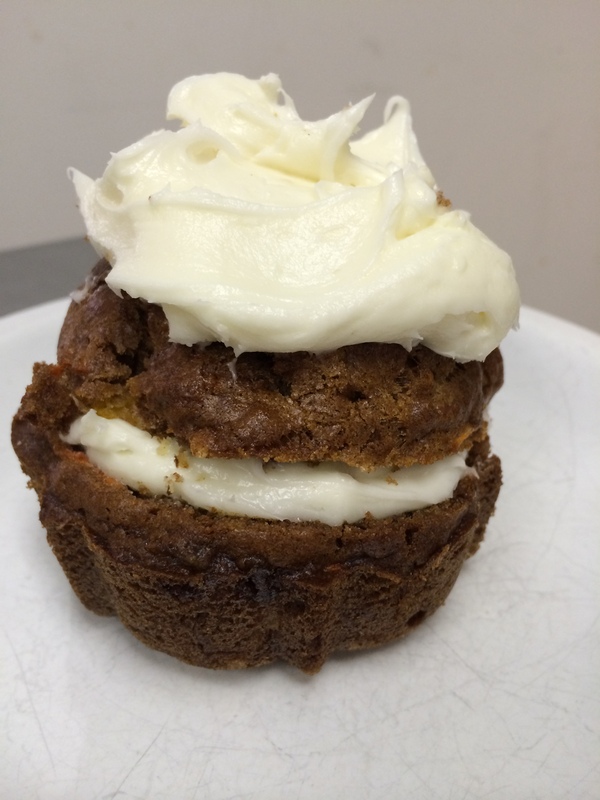 I shared the carrot cake with my co-workers….they love it! So happy you made the carrot cake Angie!